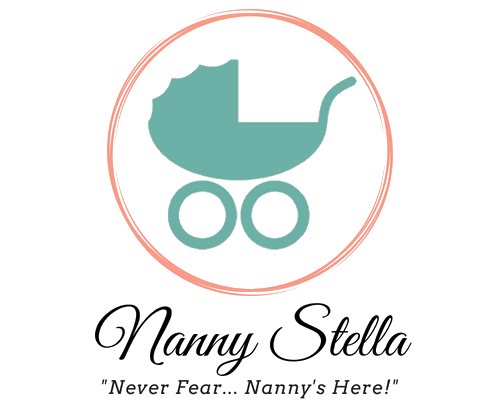 Nanny Stella Inc. collects information from you when you choose to share it with us. This may include when you use the Services; register or create an account; enroll in one of our loyalty programs; maintain a “wish list”; purchase products or services; request information from us; sign up for our newsletters or email list; enter a contest, sweepstakes or other promotion; fill out a survey; request customer support; or otherwise communicate with or contact us. The information we collect may include your name, physical address, email address, telephone or mobile phone number, date of birth/age, gender, employment history, education, certifications, Nanny Stella Inc. account user name and password, and photograph. Professional Background Data Educational and professional history, interests and accomplishments, job and salary preferences, third party recommendations, projects completed, professional resumes and CVs, information about co-workers, your interests in certain job openings, job applications, interviewing information, and hiring results. Investment Data Information about your investment objectives, investment experience, prior investments (on or offline), syndicates or leads backed, backing amounts and preferences, investment amounts and information provided by completing subscription documents for deals closed via the Services. Also included is information about your personal investment entities and their co-owners and beneficiaries, and tax related information in connection with your investments through the Services. We do not collect any “Special Categories of Personal Data” about you (this includes details about your race or ethnicity, religious or philosophical beliefs, sexual orientation, political opinions, trade union membership, information about your health and genetic and biometric data). Nor do we collect any information about criminal convictions and offences. To provide you with products, information, or services that you have requested or agreed to receive, or when necessary. · To contact you with information, newsletters, and promotional materials from Nanny Stella Inc. or on behalf of our third-party partners and affiliates. · To enable you to participate in a variety of Site and App features, such as sweepstakes, message boards, other communication features, user-generated content functions, and interactive features. · To process your registration and/or enrollment in any loyalty programs, including by verifying that your email address is active and valid. · To review the usage and operations of our Sites and Apps, develop new products or services, and conduct analysis to enhance or improve our content, products, and services. · To enhance your online shopping experience, including as a way to recognize you and welcome you to the Sites or Apps. · To provide you with customized content targeted offers, and advertising on the Sites and Apps, via email, text message, or push notification, or across other websites, mobile applications, social media or online services. · To use your data in an aggregated non-specific format for analytical and demographic purposes. · To address problems with the Sites and Apps or our business, and to protect the security or integrity of the Sites and Apps and our business, · To use and disclose your credit/debit card information only to process payments and prevent fraud. · To enforce or exercise any rights in our Terms of Service. Additionally, if you use the Sites or Apps to connect with third-party services, you authorize us to use information from and about you, on your behalf, to interact with these third-party services based on your requests. Information collected from our Nanny Intake Form is used for placement opportunities; the information shared with Nanny Stella Inc. may be shared with families that are considering hiring you for employment. Information collected from our Family Intake Form is used for the purpose of finding a service provider that meets the requirements of the job opening you would like to fill, some of the information will be shared with possible service providers and via social media during the recruitment process. Marketing, promoting and driving engagement with the Services and third-party products and services To send promotional communications that may be of specific interest to you, including, for example, by email and by displaying products, investment offerings, job listing, candidates, events, promotions and other information on our Site or other companies’ websites. These communications may be aimed at driving engagement and maximizing what you get out of the Services or promoting third-party products and services. You generally can control whether you receive these communications as described in this policy under Marketing Communications Preferences. Select Third Parties: We may share your information with our select partners, affiliates (including affiliates that do and do not bear the Nanny Stella Inc. brand name), and other third parties that we believe may have offers of interest to you. If you are a Job Seeker, your information will generally be publicly available, and employers may have access to your Personal Data to assist them in discovering, evaluating and tracking communications with prospective candidates; however, we generally only share your job seeking status, target role and related information with certain NSI clients/ families. What are cookies? When you visit the Services, we may send one or more “cookies” – small data files – to your computer to uniquely identify your browser and let NSI help you log in faster and enhance your navigation through the Site. A cookie may convey anonymous information about how you browse the Services to us so we can provide you with a more personalized experience, but does not collect personal information about you. A persistent cookie remains on your computer after you close your browser so that it can be used by your browser on subsequent visits to the Service. Persistent cookies can be removed by following your web browser’s directions. A session cookie is temporary and disappears after you close your browser. Clear GIFs Information (Web Beacons): When you use the Services, we may employ clear GIFs (also known as web beacons or tracking pixels) to anonymously track online usage patterns. No Personally Identifiable Information from your NSI account is collected using these clear GIFs. In addition, we may also use clear GIFs in HTML-based emails sent to our users to track which emails are opened by recipients. The information collected is used to enable more accurate reporting and make NSI better for our users. Third Party Services: NSI may use third-party services such as Google Analytics to help understand use of the Services. These services typically collect the information sent by your browser as part of a web page request, including cookies and your IP address. They receive this information and their use of it is governed by their respective privacy policies. You can also prevent the use of Google Analytics relating to your use of our Services by downloading and installing the browser plugin available via this link: http://tools.google.com/dlpage/gaoptout?hl=en-GB. Use of Google User Data: If you choose to connect a Google profile to your account, we will access certain information obtained from Google regarding your account. In particular, we may store your name and email address as well as information on the particular profile you connect, including your contacts. This data will only be used by us to provide you with the service you expect and will not be shared with any third parties. You can typically reset your web browser to refuse all cookies or to notify you when a cookie is being sent. In order to do this, follow the instructions provided by your browser (usually located within the “settings”, “help” “tools” or “edit” facility). Many browsers are set to accept cookies until you change your settings. If you wish to prevent your data from being used by Google Analytics, Google has developed the Google Analytics opt-out browser add-on available here. On your mobile device, you may also adjust your privacy and advertising settings to control whether you want to receive more relevant advertising. Electronic Promotional Offers. If you do not want to receive marketing emails from us click the unsubscribe link in the footer of any email. You may also opt-out of receiving emails from us by sending us an email at [email protected] with “Do Not Email” in the subject line. If you do not want to receive marketing phone calls or text messages from us, you may email us at [email protected] with “Do Not Call” in the subject line; call us at NUMBER; inform us that you no longer want to receive calls from Nanny Stella Inc. when you receive a call from us; or reply STOP to a text message from us. If you receive marketing communications from one or more brands within the Nanny Stella Inc. family of brands, you must opt-out individually from each of the brands from which you are receiving brand-specific marketing communications. Your instructions to limit the use of your information for these purposes will be processed as soon as reasonably practicable. Additionally, we are not responsible for informing third parties (including without limitation our third-party service providers or partners) with whom we have already shared your personal information of any changes requested pursuant to this section. We are also not responsible for revising or removing your Personal Data obtained by any third party who has previously been provided your information by us in accordance with this policy or any third party to whom you have provided such information (whether by sharing your login and password, or otherwise). If you are a California resident, you may request information about our disclosure of personal information to third parties or affiliated companies for their direct marketing purposes. To make such a request, please contact us at [email protected] You must put the statement “Third-Party Marketing Opt-Out” in the subject field. We are not responsible for notices that are not labeled or sent properly, or do not have complete information. Non-affiliated third parties are independent from Nanny Stella Inc., and if you wish to receive information about your disclosure choices or stop communications from such third parties, you will need to contact those non-affiliated third parties directly. Protecting children’s privacy is important to us. The Services are not intended for children below 16 and NSI does not knowingly collect or solicit personal information from anyone under the age of 16 or knowingly allow such persons to register with the Services. If you are under the age of 13, please do not submit any personal information through the Site. We encourage parents and legal guardians to monitor their children’s Internet usage and to help enforce our Privacy & Cookies Policy by instructing their children never to provide personal information on this Site. If we become aware that we have collected personal information from a child under age 13, we will take steps to remove that information. The Services are maintained in the United States of America. Personal Data that you provide us may be stored, processed and accessed by us, our staff, sub-contractors and third parties with whom we share Personal Data in the United States of America or elsewhere inside or outside of the EU for the purposes described in this policy. Although we welcome users from all over the world, by accessing the Services and providing us with your Personal Data, you consent to and authorize the export of Personal Data to the United States and its storage and use as specified in this Privacy & Cookies Policy. Note the laws of the United States might not be as comprehensive or protective as laws in the country where you live. Because the Services are maintained in the United States of America, we do not transfer your Personal Data from the EU to United States. Your personal information may be disclosed in response to inquiries or requests from government authorities or to respond to judicial process in the countries in which we operate.